Summer is beginning again! Here comes the warm/hot weather, more sunshine, flowers in abundance, lots of green, and depending on where you live, birds have returned and are welcoming the morning with their glorious songs and so many more delightful experiences for the senses. No wonder Joy is the emotion of the season. However, there are cautions to this joy not becoming too over the top. Balance is always the key. Laughter is terrific, hysteria is not. With all this beauty and sensual happiness, one would think that this season would be a breeze. Alas, it too has its challenges and opportunities for creating increased balance and harmony. The Fire of Summer can incite restlessness, anxiety, and various forms of uneasiness. Do not be too attached to the results that are induced by Fire such as quick judgments and rash actions. Consequently, it is important to focus on cultivating tranquility and a balanced perspective. Pause first before rushing into things. This is another time to maintain and generate neutrality and objectivity while interacting with Life. It is healthful in Summer to arise a little earlier and enjoy the long daylight hours; drink more refreshing fluids such as lemon water; refrain from heavy foods that are greasy and/or too sweet and cultivate a balanced engagement with Life in all aspects of your personal world. Eat Seasonal, Buy Local, Think Global! This is a favorite of mine as I love the bright flavor of fresh celery. 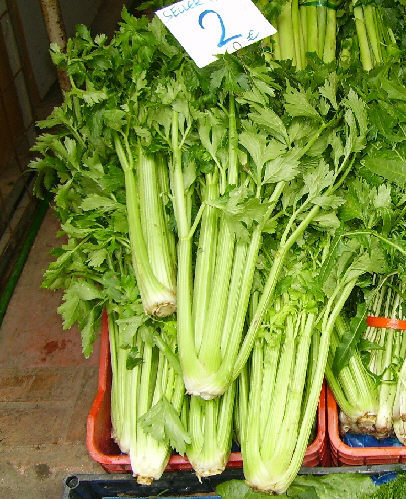 Celery is said in TCM reduce body heat and relieve dampness. Its bitter flavor makes it energetically related to the Heart/Small Intestine, and its neutral (as opposed to cold or hot) energy puts it in the “balanced food” category. Make a simple congee for 4 to which you add about one cup of finely chopped celery when the congee is about ½ done. When the congee is almost complete, add 2 TB of fresh chopped parsley and some salt to taste. Heat a large heavy skillet or wok, add and heat the oil, then add the mushrooms. After a few minutes add the garlic, green onion, ginger, hot peppers, sugar, and salt individually tossing them in with each addition. Then add the tomatoes and cook until they have begun to sweat. Remove from the heat and serve. The vinegar may be sprinkled over the dish right before serving. It adds just a touch of “zest”. This is a very cooling and refreshing sweet dessert or snack that makes a different way to serve watermelon on those hot days of summer that are coming up. In a large pot heat the water adding the honey and Osmanthus flowers, stir in well and bring to a boil. Reduce heat, stir well and remove some of the liquid to which you add the cornstarch and mix in until it dissolves. Then slowly add it back to the simmering sweetened water. Simmer and stir regularly until the sauce becomes shiny and glaze-like, but not too thick. Let it cool. While it is cooling, cut the pulp from the watermelon into small cubes leaving some of the rind on some of the watermelon and with the cubed haw jelly place it on a large platter. 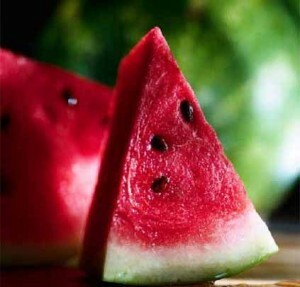 When the glazed sauce has cooled, pour it over the watermelon and haw and serve. Very pretty, very tasty, very cooling & refreshing! Chrysanthemum flowers are so refreshing, naturally sweet and cooling. They are also easily available and inexpensive. These flowers can cool summer heat and leave you feeling refreshed. When to eat what: The “rule of thumb” is that eating nutritionally dense foods such as cooked grains with perhaps some nuts or seeds and a bit of fruit in the morning is best. The Stomach meridian is at its peak from 7-9 a.m. and you are, therefore, giving yourself the optimal opportunity for healthy digestion and assimilation. The “midday meal”, Lunch, is the time when we can eat a larger meal that consists of grains, vegetables, some fish or poultry and then, at dinner we would have a lighter meal. In our modern lives, however, our largest meals are often in the evening after we have worked hard all day and are at least a little fatigued and Stomach and Spleen qi is lowered. Breakfast for most people is often minimal and consists of processed foods (such as “protein bars” or the “NYC breakfast of a roll and butter with coffee), nonexistent, or a very heavy combination of processed wheat, eggs, dairy products all cooked in lots of oil. This backward form of eating that our modern lives encourage puts a strain on our digestive system. Much of what we eat might have an enjoyable taste, but is not enjoyable for our bodies to process and assimilate. This way of eating also encourages bloating, cramping, fatigue, sleeplessness, weight gain, and so on. When we view our food choices as energy choices, our selections become quite different. For example, if we want to support our Liver/Gall Bladder function, we will choose to eat more foods whose energy is compatible with that system, such as cooked greens. Or perhaps, if we are aware that we have too much heat in our lungs, we might choose to have cooling teas during the day to support the Lung system in balancing itself. How do we know what foods to choose? We can begin by referring to flavor that relates to the season and meridian that is in charge of it. This season’s flavor is bitter and many of the foods listed above have a bitter taste to them. Some do not, but are very cooling – such as strawberry – and therefore, cool the Fire (heat) of Summer. So, one way to begin to change from viewing food as a physical entity only, is to ask yourself what the result is that you are after. Keep it simple. Start with internal hot/cold conditions. 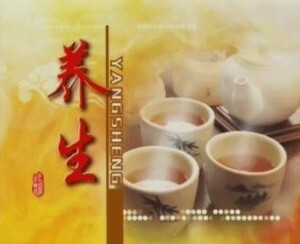 If there is too much heat, then you want to add cooling foods and teas. If there is too much internal cold, you want to do the opposite and maybe reach for the ginger tea! Consider eating pungent foods as part of your meals in summer. Ideally, every meal should contain some of every flavor and have a range of colors. Consistent meals that are monotone in color and flavor are inevitably lacking in balanced energetics. Viewing what we eat as part of our energy practice takes some time and study, but I know from my own experience and that of others I know who have done so that it is exceedingly well worth the time and effort expended. This entry was posted in Seasonal Harmony and tagged celery, ear mushrooms, early summer, food as medicine, local food, watermelon. Bookmark the permalink.